You want your approach to finding a new home in Cocoa Beach to be at least somewhat hard-headed and businesslike. The financial stakes are certainly major, and to some extent, much of what your future lifestyle will be like will depend on making a good choice. This is not to totally discount the emotional component that’s inevitably part of finding your new Cocoa Beach home. You do want your family to feel good about the final choice—you’ll be moving to the dwelling that will become everybody’s center of operations. So if your repeat visit begins to convince you that this really is the place you’ve been hoping to find, it’s the appropriate time to take a step back to do your most hard-headed, businesslike projection. This is beyond the back-of-the-envelope kind of calculation (the one that originally guided the price range you gave to your Realtor). This is time to take everything into account to see how well this new Cocoa Beach home truly fits—on a number of counts. 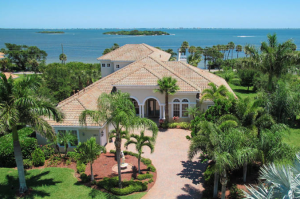 Helping you make sure your new Cocoa Beach home is a comfortable match for your family’s needs is a large part of the service I provide my buyers. If you are ready to take a look at the latest crop of Cocoa Beach new home offerings, I’ll be standing by for your call!